The online Master of Quantitative Management: Health Analytics program provides the business fundamentals, industry context, and advanced data analytics needed for better decision-making within health organizations. Designed for health professionals and leaders with a passion for improving efficiency and quality of care in their fields, our master’s program puts you at the forefront of a discipline that will enable health organizations to positively transform operations, efficiency, cost of care and patient outcomes. As the health sector confronts policy reforms and the transition from rewarding volume of care to value of care, earning your health analytics master’s degree will help you learn to derive actionable insights from data and how to use this data effectively and ethically. With your new mastery of analytics, you’ll be positioned to drive your organization’s use of data and stay at the forefront of analytics-driven innovation. The potential applications of healthcare analytics are limitless; operating rooms are using analytics to reduce delays and make team handoffs more efficient, insurance companies are using analytics to improve reimbursement policies, life sciences firms are learning more about effectiveness of their products in real-world settings and countless other organizations have begun to explore how to implement their own health analytics initiatives. While many of our applicants come from quantitative backgrounds, our program is well-suited to equip health leaders with the skills they need to create value from their organization’s data—healthcare professionals from provider/hospital backgrounds, as well as those in the insurance, pharmaceutical, biotech and the medical device industries can all benefit from our online health analytics master’s program. Learn about the career services available to students through the Fuqua School of Business. 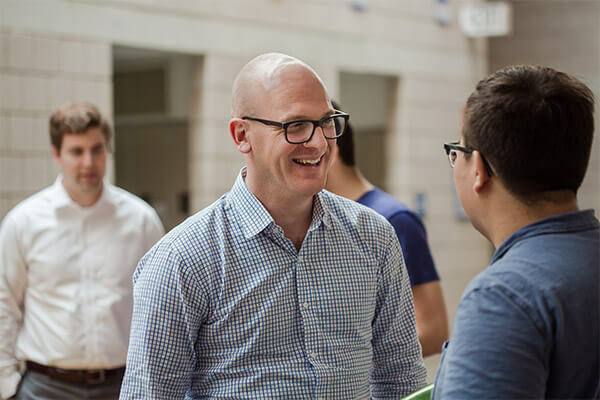 With its focus on interdisciplinary knowledge, the Fuqua School’s online MQM: Health Analytics program is a one-of-a-kind educational experience that bridges the gap between collecting data and translating it into actionable insights. 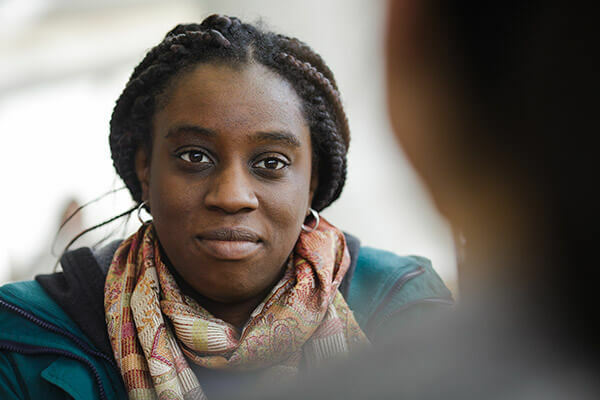 Our curriculum comprehensively covers coursework in quantitative analysis, business fundamentals such as accounting and finance, health policy, the legal implications of health analytics and more. Few, if any, other programs provide both the quality and depth that Fuqua’s health analytics curriculum offers. Your online education combines self-paced modules and assignments with real-time virtual sessions and team projects. Our cohort learning model ensures you gain functional knowledge while benefitting from peer expertise in multiple domains, all within our intensely collaborative environment. We design our cohorts with a focus on cross-disciplinary collaboration, ensuring that you’ll be able to work with and learn from peers with different professional backgrounds. In addition to self-paced coursework, the Fuqua School of Business at Duke University delivers a first-class technical service. Our IT support team members support you throughout the program, so that they get to know who you are and can resolve technology issues as quickly as possible. While enrolled in our online MQM: Health Analytics program, you won’t be just another student, you will be cared for as part of our community. 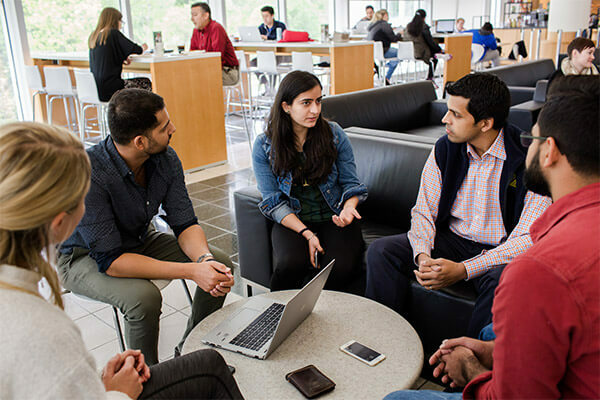 As a student at Duke’s Fuqua School of Business, you’ll be part of an immersive and collaborative environment that’s founded on a different kind of teamwork—one that encourages you to lead toward a shared goal by bringing out the strengths in others. Working together with peers from different functions and industries, you’ll focus on building relationships and creating value for your organization. 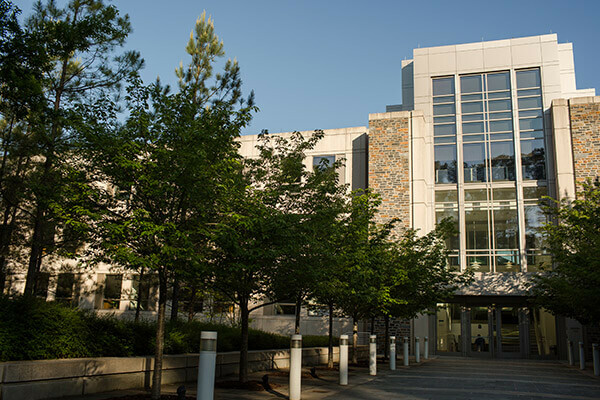 Learn more about the Fuqua School of Business at Duke University.